Seattle is getting colder, and predictably, my breakfasts are getting warmer. The days of raw fruit & chilled muesli have come and gone, and now my oats are getting the hot & hearty porridge treatment. A breakfast like this can help you stay strong through the stresses of the seasonal shift. With the growing season coming to a close and colorful summer crops disappearing from the local food system, pumpkins and other winter squash persevere as a shelf-stable source of vibrantly orange vitamin power. And as the weather chills, spices become magical; we love them, and they love us back with their stimulating, grounding and warming qualities. (Don’t forget: spices are powerful plants that humans have selected, valued, and carried along with us through the history of eating. They interface with our physiology in ways that science is only beginning to understand). Resolving to Eat Better this year? Me too, but I’m not just talking about nutrition… I’m also always looking for new and exciting ways to ENJOY IT. That’s why I make this kind of food: wholesome, real ingredients coming together to make something indulgently nourishing for your “most important meal of the day.” It’s simple, but special. It’s rich, but still provides legit nutrition. And as a bonus, it will warm you to the bones not only by virtue of being a hearty porridge, but also by briefly relieving your winter weather woes with a mental tropical vacation. So, what makes these oats so nutritious and filling? 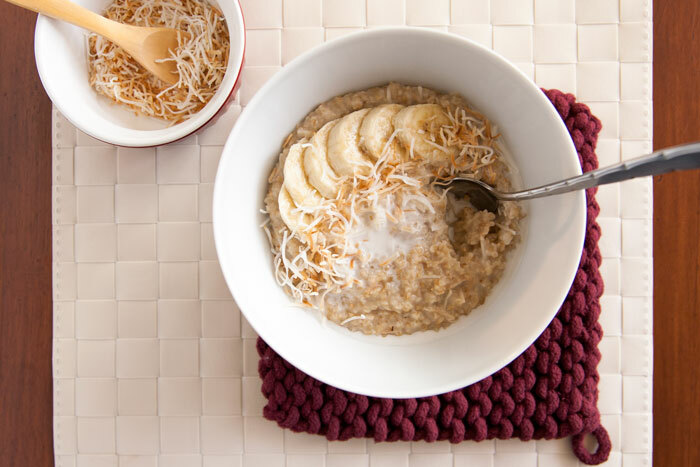 The winning combination of whole grains and coconut deliver fiber, complex carbs and a healthy dose of fat that provide lasting energy to fill you up and truly satisfy. You can cook this on the stove, in a rice cooker, or a slow cooker, but I choose my pressure cooker. It couldn’t get much faster or simpler! 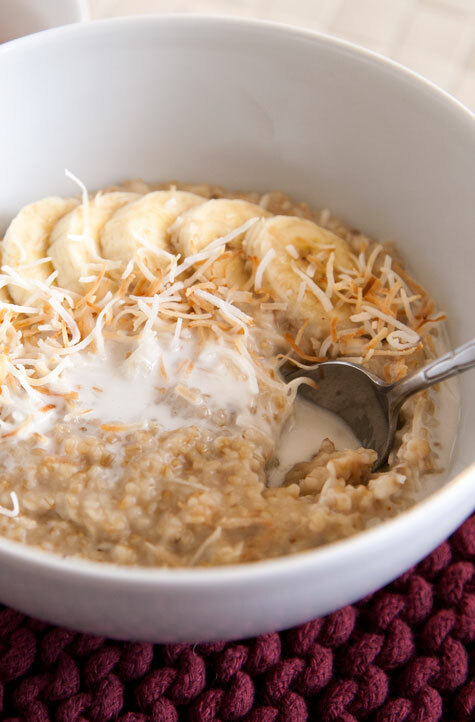 The secret to this recipe is the first step, toasting the oats and coconut, which enhances the nutty flavor in both ingredients (it’s easy as pie with Instant Pot’s saute function). 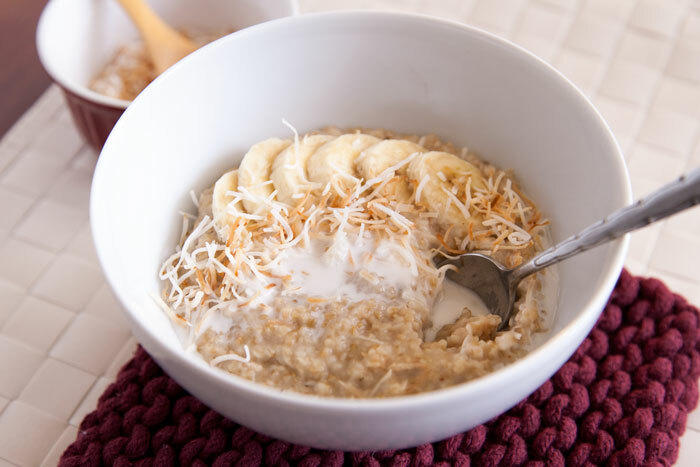 Be sure to reserve some toasty coconut to use as a topping before dumping in the rest of the ingredients and locking down for pressure cooking. You’ll open the lid to find some flawless oats: lightly sweetened and heavily fragranced with coconutty aroma. The flecks of toasted coconut offer a satisfying chew, while the coconut milk makes it extra rich and creamy. Top with fruit (fresh or dried), a drizzle of the coconut milk that’s leftover in the can, and an extra sprinkle of toasty coconut flakes. Aside from everyday eats, keep this recipe in mind when you have a home full of house-guests. Throw together a double batch, set up a toppings station, leave the steamy pot on keep-warm mode and allow your waking visitors to self-serve at their leisure. 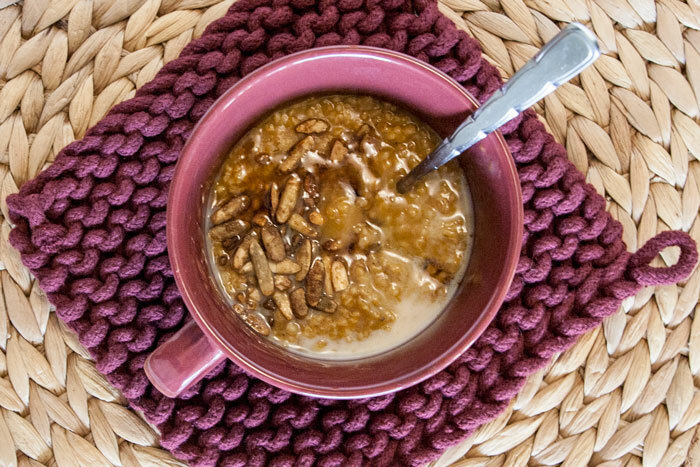 Oatmeal doesn’t normally garner oohs and ahhs… but this recipe is special enough to hold its own! Leftover oats? 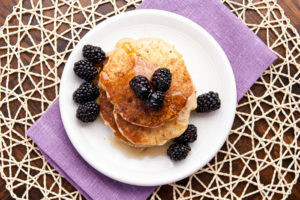 You’re in luck – save a cup to whip up a batch of my #1 favorite pancakes. Imagine how good they’ll be infused with coconut!! Looking for more healthy breakfast inspiration? 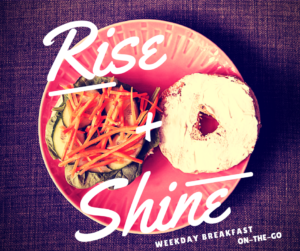 Get some fresh, practical ideas from my post on My Top 5 On-The-Go Weekday Breakfasts. Loving your new pressure cooker? 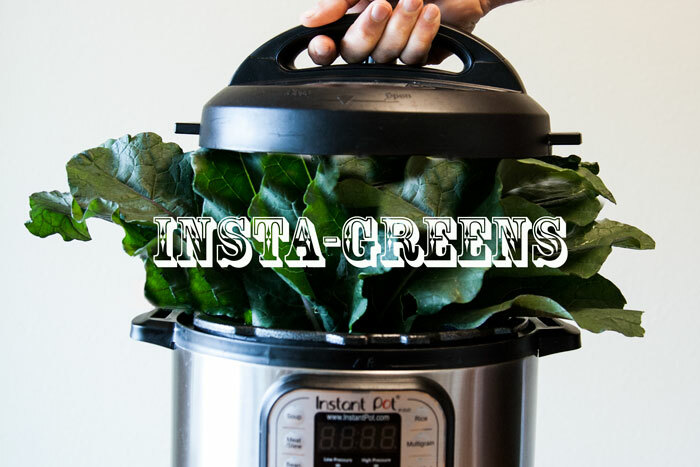 You can find the rest of my Instant Pot recipes here. Below is my pressure-cooker adaptation of this recipe from Shutterbean. If you’d rather use a rice cooker or the stovetop, use her instructions instead. If using a slow cooker, start the night before you plan to serve. Add an extra cup of liquid (your choice – either more water, coconut milk, or another liquid like almond milk), and cook overnight on the ‘low’ setting. Begin by toasting the coconut: add the dry coconut to the pressure cooker to cook over medium heat (with Instant Pot, press the ‘Saute’ button to begin cooking at medium saute heat). Stir frequently, and watch closely to avoid burning. When the coconut begins to lightly brown, remove half to set aside for the topping, and add the steel-cut oats to toast as well. Cook the oats and coconut for a few more minutes, until both are fragrant. Then add 1 cup coconut milk (reserve the remainder for topping) and the rest of the ingredients. 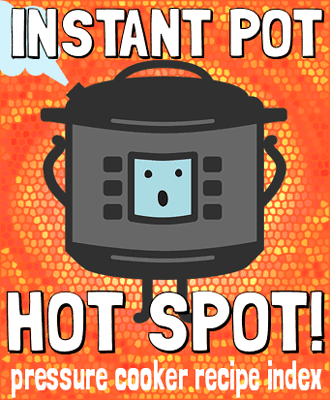 Stir to combine, then cook under high pressure for 2 minutes (with Instant Pot, press ‘Cancel’ to stop saute mode, then close the lid and press ‘Manual’ to select 2 minutes). When the cooking time is complete, allow 10 minutes for a natural pressure release before opening the valve and lid. Serve warm, topped with a drizzle of coconut milk, a spoonful of toasted coconut, and any other desired toppings. These days I do most of my recipe-clipping on Pinterest, but I still have a recipe folder on my browser’s bookmarks bar dating back from the days before ‘pinning’ was a household term (shocking, I know). There’s a smattering of links from all corners of the web, but the heart of the collection is a sub-folder marked “Tried and True,” which holds those special recipes that I’ve come back to again and again… the keepers, if you will! Along with the formula behind killer pumpkin garlic knots and the original source inspiring my favorite chili (which has been tweaked and perfected and eventually taken over as Grant’s kitchen specialty), this folder is also home to an unassuming yellow dal bookmarked from Smitten Kitchen. I made this recipe for the first time in college, just starting to dip my toes into Indian cooking, and I can’t even tell you how many times I’ve served it up since then! This dish has been a dinner staple in my house for a lot of reasons. For one, the recipe is really straightforward, easy enough to commit to memory. 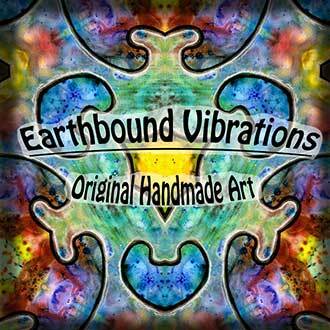 It’s also super inexpensive. 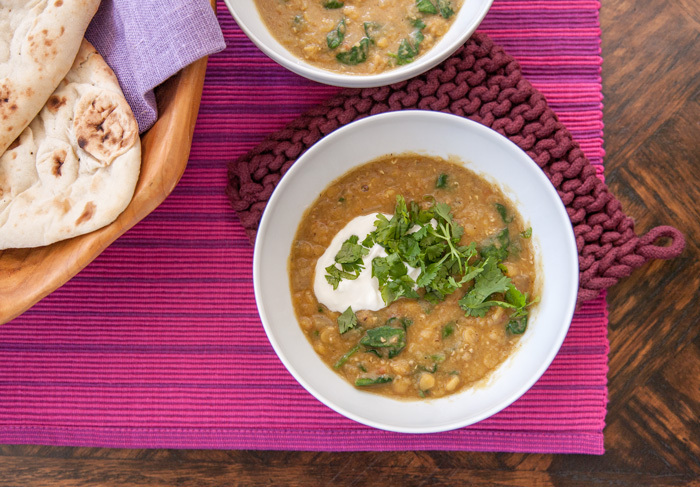 I do my best to cook with economy and grace, and these tasty lentils make it easy: all of the budget-friendly benefits of dried beans, but with no soaking needed. It’s a hearty vegetarian (easily vegan) source of protein – about 14 grams per serving, before the yogurt garnish. And those healthy legumes are filled out with plenty of vegetables and nutritious spices. I’ve been putting more focus on anti-inflammatory foods in my diet lately, and the turmeric, cumin, coriander, cayenne and garlic in this recipe all offer functional health benefits to reduce inflammation in the body. This is definitely an example of getting your flavor from real food, and this enticing combination is so nutritious that it’s practically medicinal! 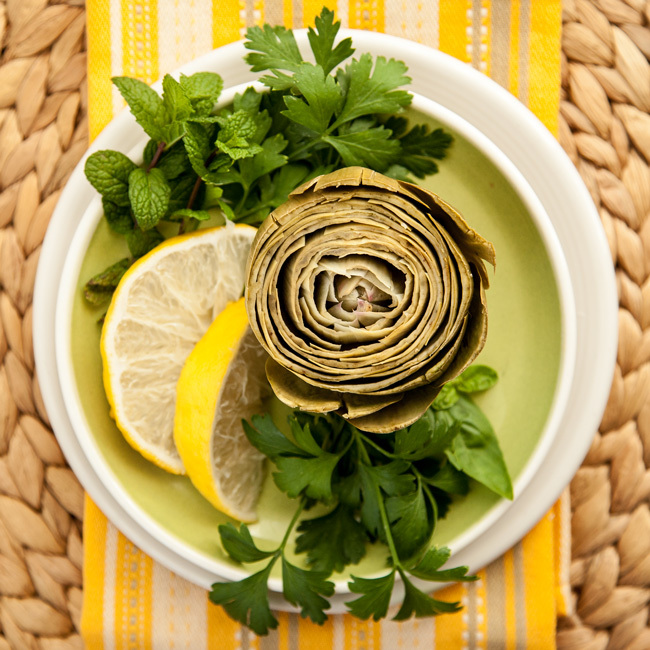 The artichoke: nature’s finger food. Au naturale. Simply steamed. Is any other plain vegetable quite so botanically romantic? Maybe it’s the delicately sweet flavor. Maybe it’s because they love cool, salty California air, like I do. Maybe it’s because you’re literally eating a dang flower! Whatever it is, sitting down to share an artichoke is something special. Unfortunately, the things have a reputation for being a pain to prepare – their tough structures definitely need some cooking before they’re ready to melt in your mouth. On the stove top, you’re looking at upwards of 40 minutes of babysitting the pot, making sure the water level doesn’t boil too low. This is where Instant Pot comes in (affiliate link). With my favorite set-and-forget pressure cooker on hand, the task really isn’t fussy at all.